When I went into Ms. Franco's class for St. Patrick's Day, Tia also asked me to make California State Cookies since the kids are starting to learn their geography. I did my best to simplify the physical features of the California map (like the one below) using only two shades of sparkling sugar. I added little edible gold stars at the approximate location of Sacramento. 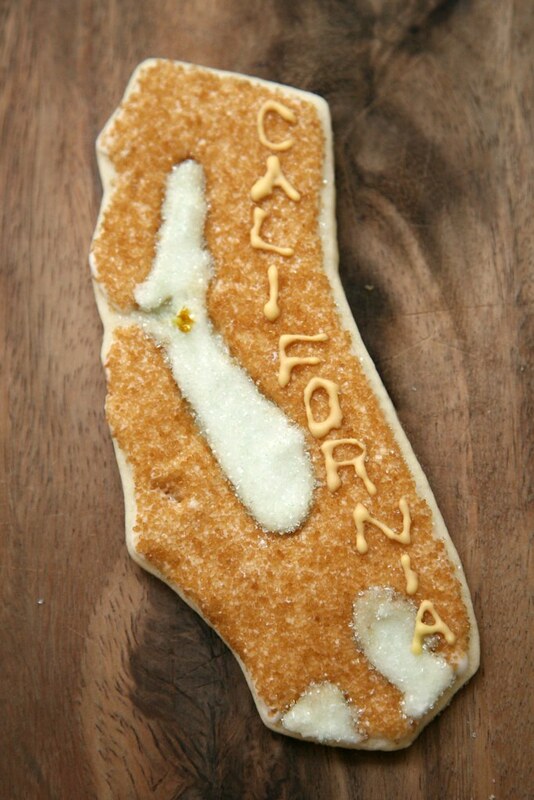 And here's what a California State Sugar Cookie looks like. And now you know...and knowing is half the battle.